An inter-generational dance theatre performance for the street. 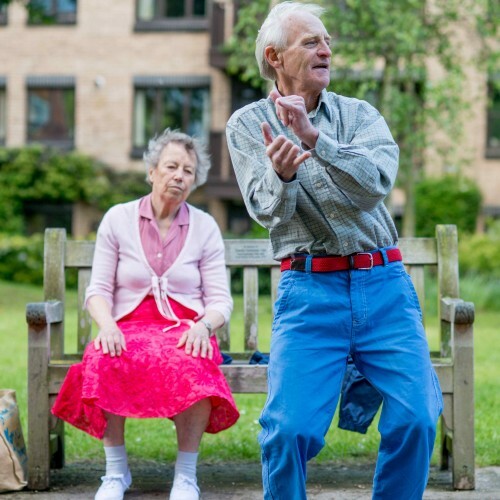 A performance for all ages, the audience is taken on a journey that reflects the travel of a couple through their love and life– as they meet, fall in love, steal into middle age and grow old. At times, comic and laugh-out- loud at others poignant and touching. The audience follows the aging of the couple as their story unfolds. 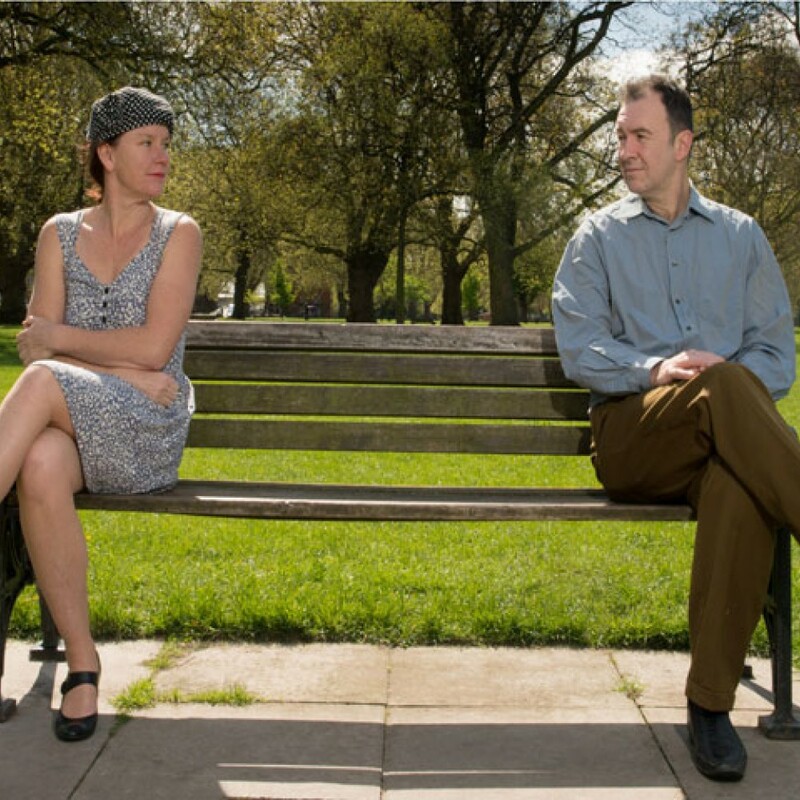 Three duets set in three different locations across the city unfold to tell the story of a relationship seen at 25 year intervals. On the journey, the audience spot a couple, at first when they meet in their 20s, next in their 40s and finally in their 70s. The piece is performed in public spaces, creating a performance which is spontaneous, sometimes voyeuristic and at others almost participatory. It can be transposed to different towns and city locations to make it special to the place in which it is performed. As we see the couple age we understand more about who these people are and what it means to be in love at various points in a relationship. Essentially it is about love and loss. Choreographed by Laura McGill and Sarah Lewis. Performed by Luke Brown, KJ Lawson Mortimer, Jake Goode, Jo Galbraith, Ronnie Beecham, Liz Taylor. The performance is available for touring from 2015 onwards. It is a 6 person cast with 8 people on the road for touring. The show is completely self sufficient and comes with it's own sound system. Due to the site responsive nature of the performance GlassHouse do require a site visit prior to performance. Suitable sites are to be discussed and decided between the host and GlassHouse.